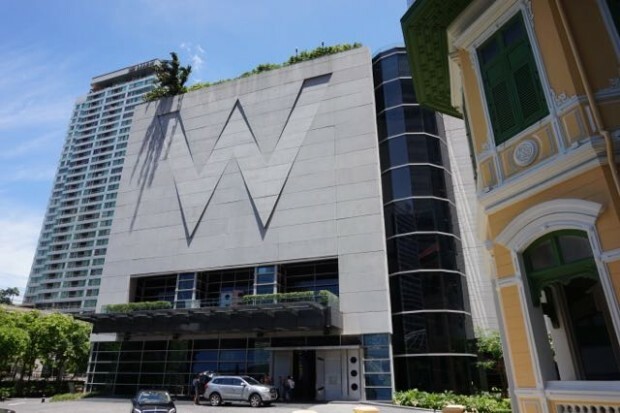 Located on North Sathorn Road, Bangkok, resides probably the cities coolest luxury hotel the – W Hotel Bangkok. 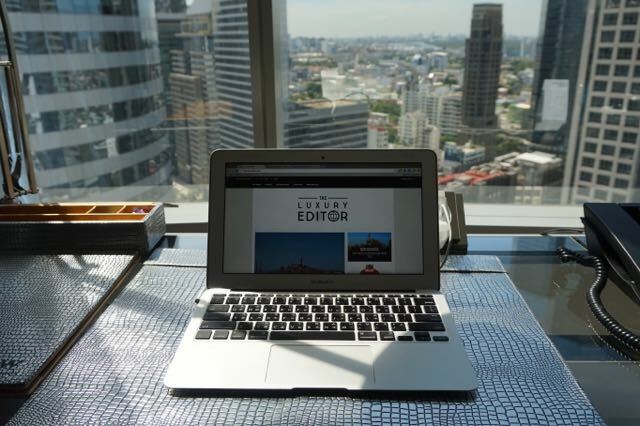 Reasonably new to Bangkok having just been completed in December 2012 this 31 floor, 403 guest room design led hotel offers everything and more that today’s millennial luxury traveler demands. 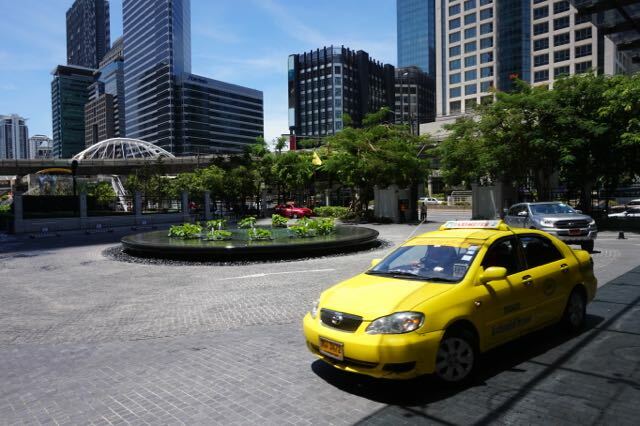 Located in the financial district close to Silom and a few minutes direct walk to Chong Nonsi BTS the hotel is very convenient for exploring the city. 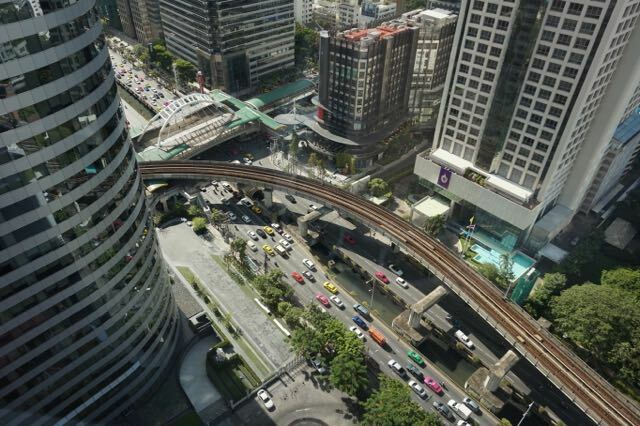 If you want to head to Siam, the main shopping district, you can catch a direct BTS skytrain from the hotel and if you want to visit the old town and temples you can take the BTS to Sapan Taksin and then take the ferry upriver. 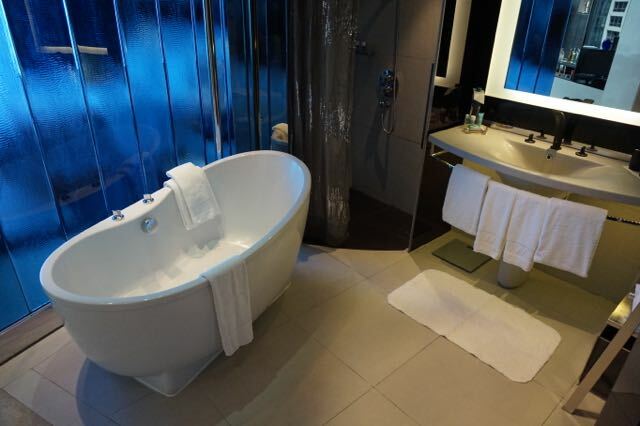 But to be honest when you step foot in the hotel you probably won’t want to leave! With 403 guest rooms made up of 6 room types – 244 wonderful rooms, 106 spectacular rooms, 19 cool corners, 20 studio suites, 2 fantastic suites and 10 marvelous suites there is something for everyone. 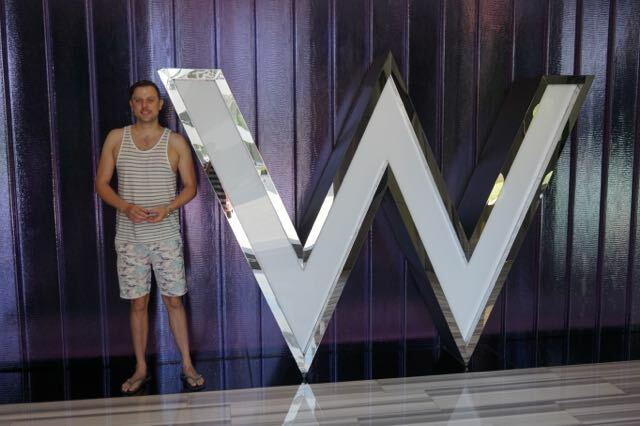 Upon walking up to the hotel the first thing you will notice is the gigantic W at the door, which most people can’t help having a selfie next to. 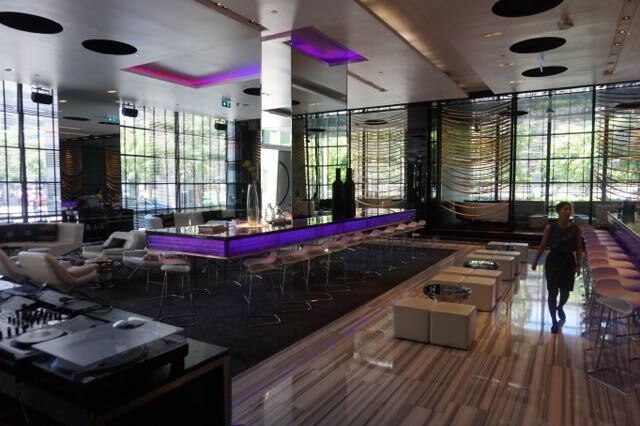 Step through into the lobby and hotel’s Woobar to the left and reception ahead have the feeling of a trendy nightclub rather than hotel, but this is all on purpose. 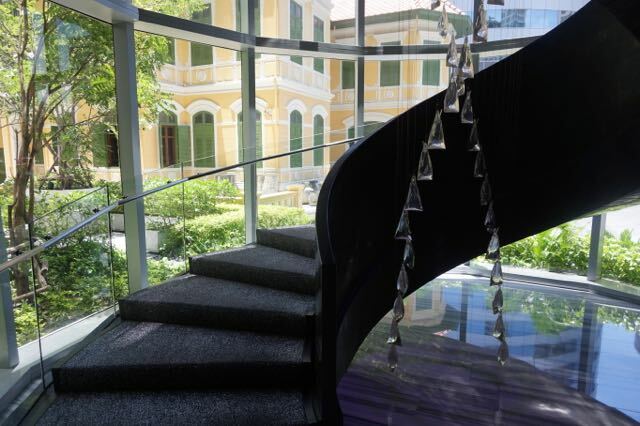 Art and design are at the heart of this brand, and each public area of the hotel has an art feature by a contemporary Thai artist. The lobby features a jewelled mural made form 80’000 crystals depicting a mythical himmaphan forest creature. The lift area has a one want entirely devoted to flashing Tuk Tuk brake lights. 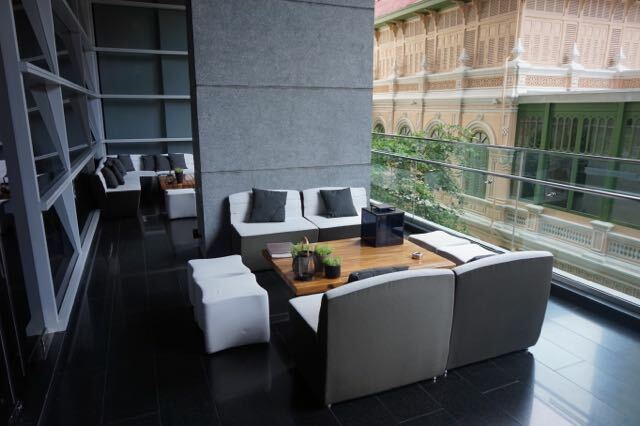 You will also notice a number of Muay Thai boxing features in the hotel from boxing ring ropes used as cordons to giant boxing gloves in each of the rooms. We were staying in a Splendid Room, which is a grade up from a Wonderful Room and boy was it good. Spendid’s take up the corner sides of the hotel so have an extra long curved glass side which offers panoramic views across the city. 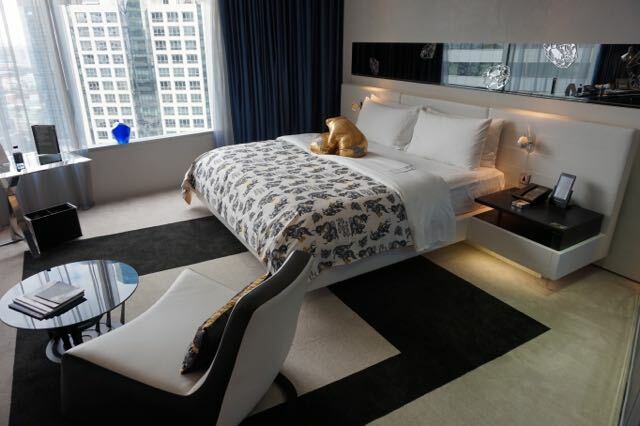 The bed is a king, which has two giant boxing gloves positioned on top for your arrival. 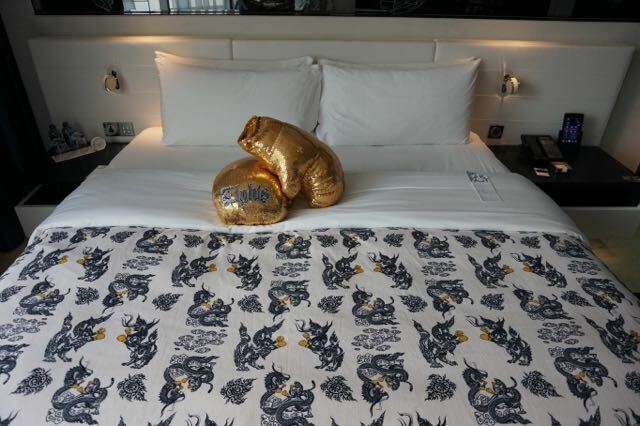 Boxing gloves are part of the W Hotel Bangkok’s mascot, tying in with Thai Boxing which the city is famous for. A small couch and coffee table with the latest design and city magazines are in the centre of the room. 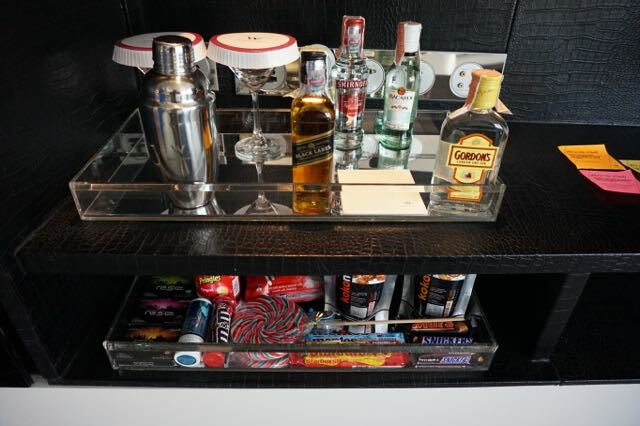 A well stocked mini bar complete with cocktail set and glasses to the left and a cupboard with cafatierre and kettle let you have your morning brew…. Bathroom and bedroom almost merge into one with a blue glass wall and curtain separating the two. A roll top bath in the centre and a separate shower area with rain shower and separate handheld shower. For a supsome of privacy the toilet has a door but it is smoked glass so you might want to shut the curtain. Plugs, plugs plugs… I love plug points, especially when they are either side of the bed, next to your working desk and the sockets fit all types of plugs – pop your UK devices in for a charge and away you go. The built in white lacquered wardrobe had a large laptop safe, so you can cram a lot of possessions in it. 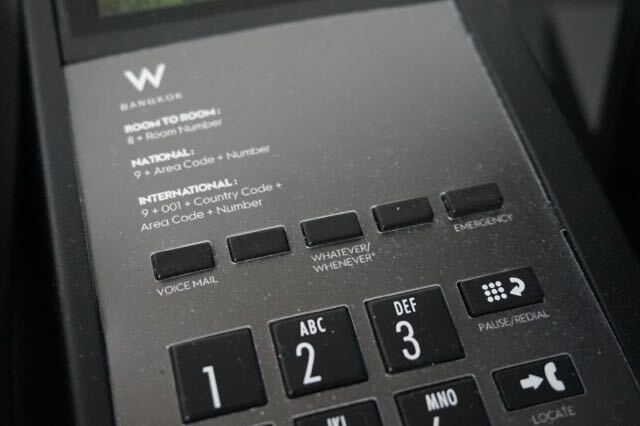 WIFI – login with your room number and name and away you go. Bangkok can be a bit of a bugger to navigate and explore and a little inside knowledge goes a long way. 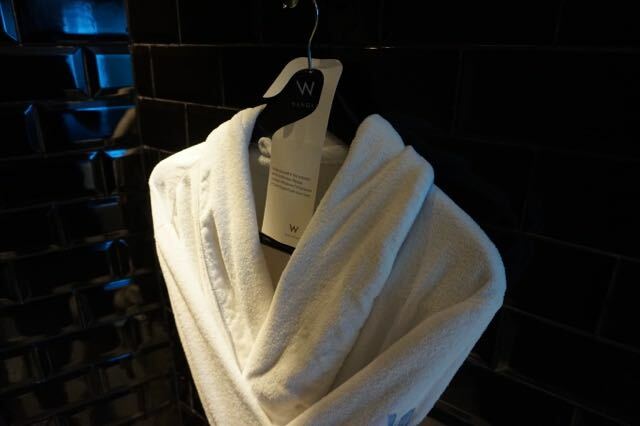 W Hotel have created an insiders guide which changes every month and lists the best new places and things to do in the city that a W guest would love. 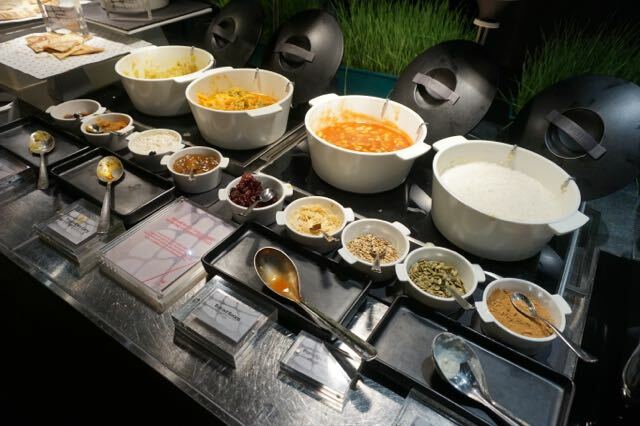 I know Bangkok very well, but did use the guide to try out a couple of new restaurants I didn’t know about. The room had so many nice surprises, which is one of the things I enjoy the most about staying in a hotel. 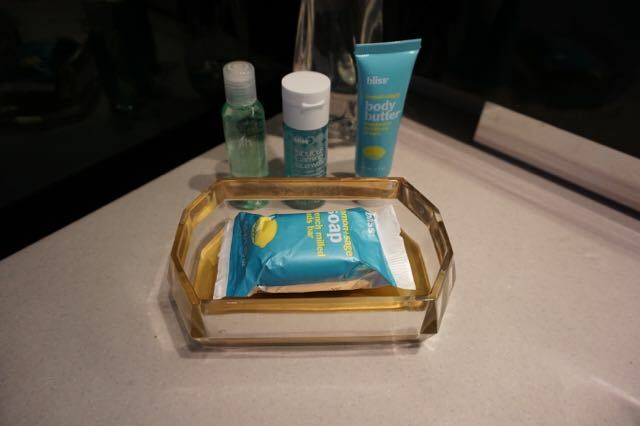 Amenities were by Bliss with a full range of soaps, gels, moisturiser and face washes provided – which I am not ashamed to say went away with me in my bag. 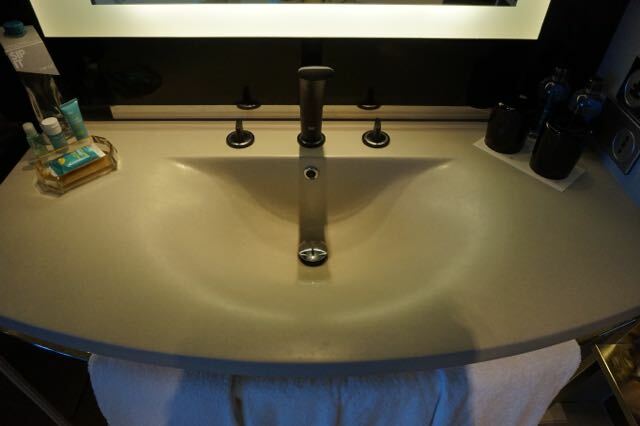 A glass box next to the sink had two sets of tooth brushes and toothpaste, a great makeup remover kit and a razor pack. 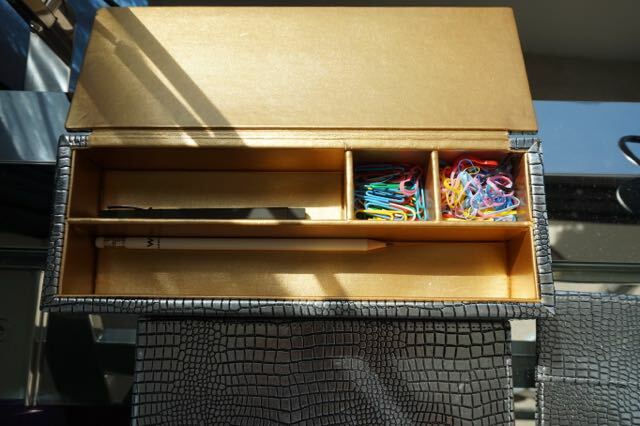 The oversized working desk had a writing box, which contained coloured paper clips and rubber bands a nice pen and pencil a fun little finishing touch I thought. 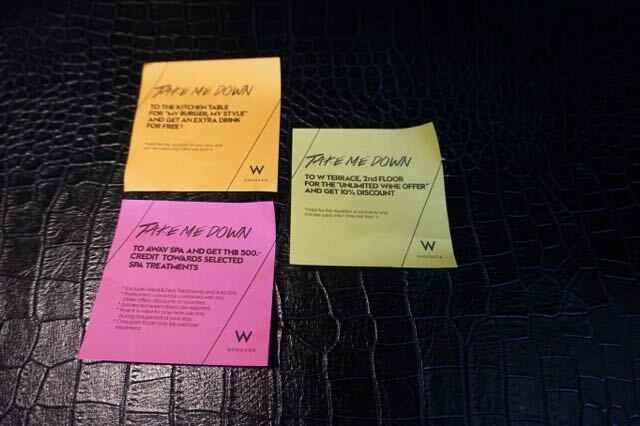 I also really loved the idea of using post it notes with offers in the bar and restaurant which you could take down with you. And finally because they knew I was coming there were 9 macaroons waiting for me and I ate them all – they are so light and moreish! 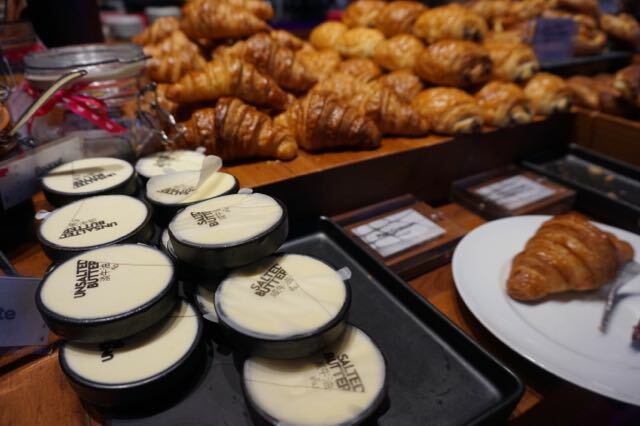 And for your every need as long as it’s legal (not my words, the words of the hotel) use their ‘Whatever/Whenever” service which will aim to satisfy your every whim. 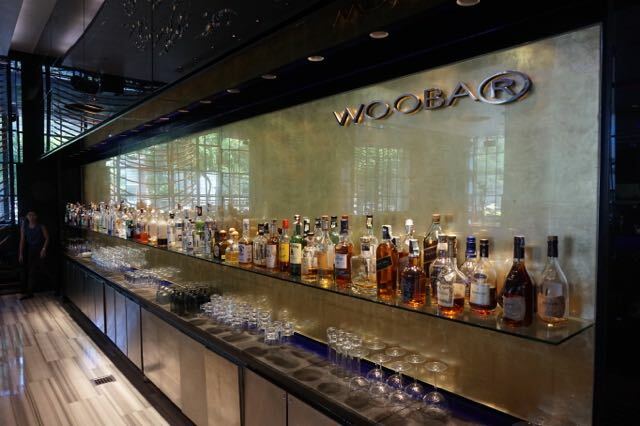 WooBar is not like your run of the mill hotel bar, I was there on a Friday night and the place was jumping. A DJ kept the crowd entertained and there was a complete party atmosphere. Def one of the key spots to be on a weekend night. 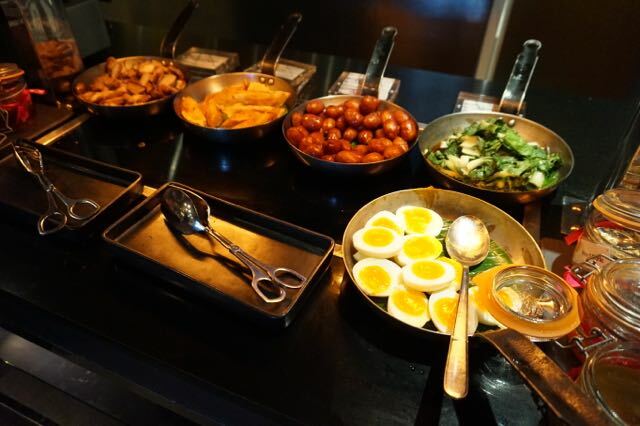 Breakfast is buffet style, aimed primarily more at the Asian palate however I still found plenty to eat as you will see in the pictures. We ate outside in the terrace area which is also a great spot for a wine or cocktail during the day too. 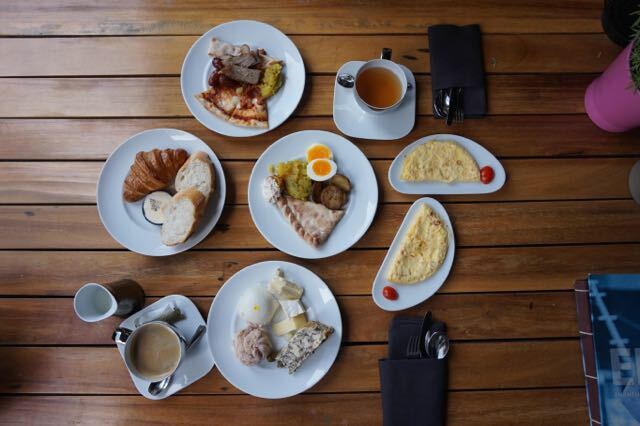 Eggs can be ordered by your waiter, along with your coffee and tea. 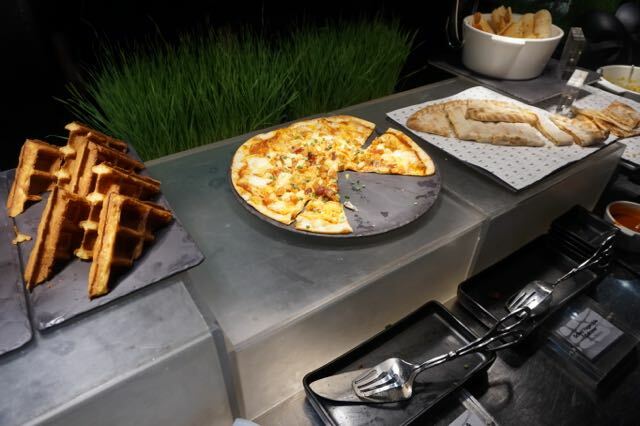 Help yourself to the vast selection of buffet items. 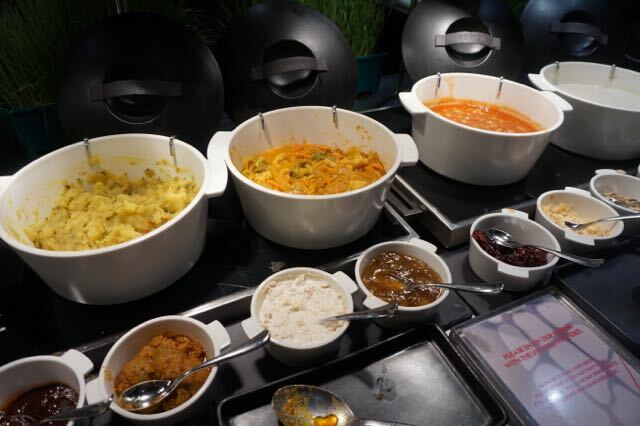 Like many Asian hotels anything can be eaten at any time of the day – so choose between hot curries pizza, miso soup, and congee. 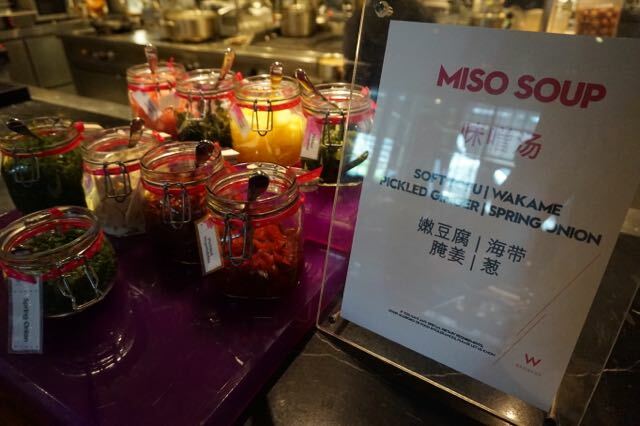 There was also sushi, a large fresh bakery section, cheeses and fresh fruits. The list goes on. 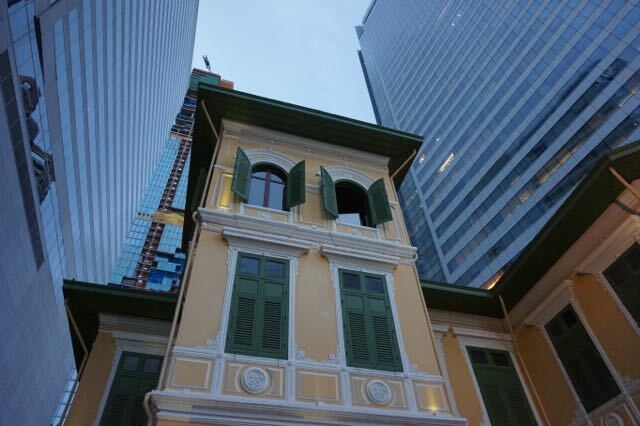 You will see when you visit the hotel an original Thai house next to the W hotel and skyscrapers. I was told that this was being turned into a restaurant – so watch this space it looks like it will be a beautiful place to eat. 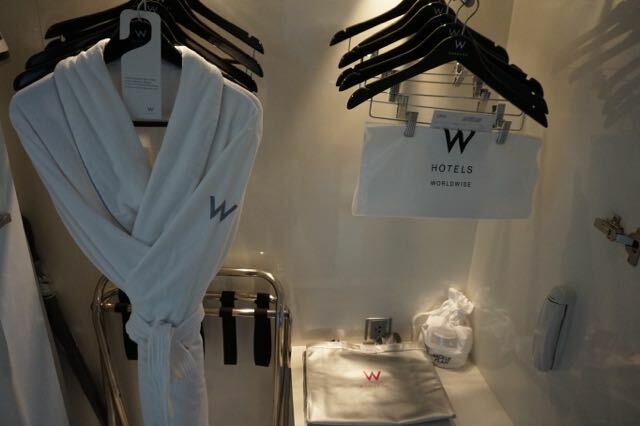 I have to admit I loved the W Hotel from the minute I walked in. The room was top notch and great fun to chill out in. It is definitely for the young at heart luxury traveller. 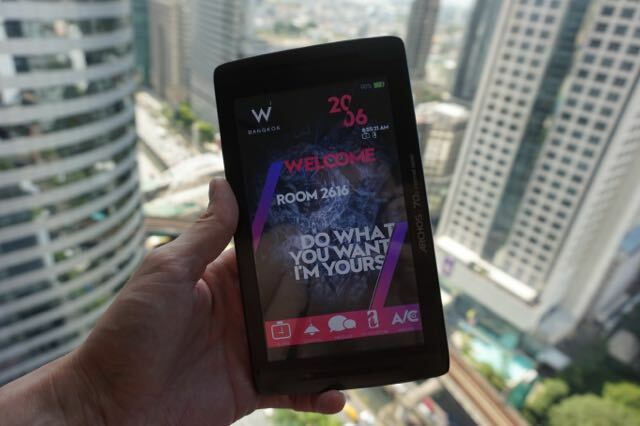 If you like technology and contemporary design then head to the W Hotel on your next trip to Bangkok. The W Hotel Bangkok is on our list of Bangkok’s best luxury hotels. 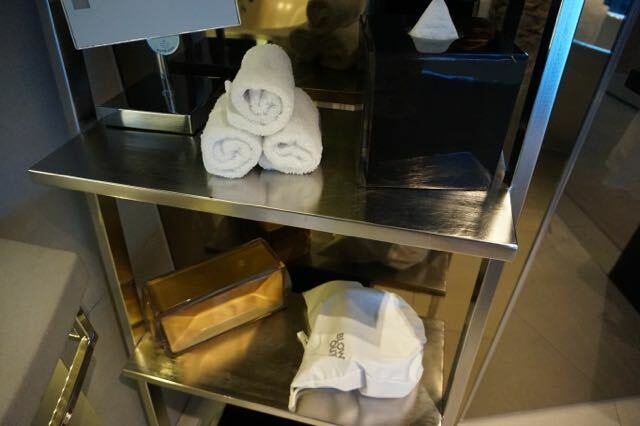 A room starts at £104 per night and they are complete luxury. 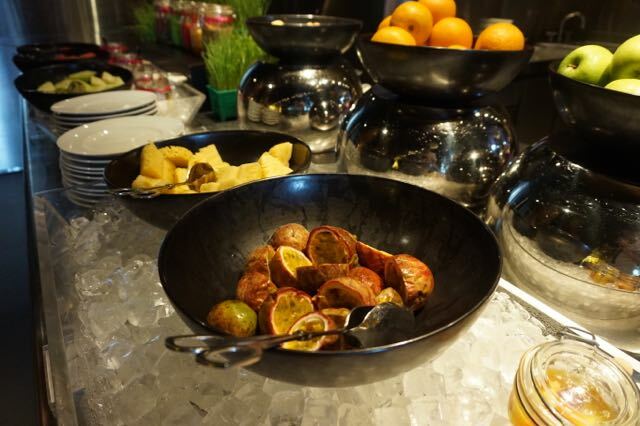 Address: North Sathorn Road, 106 ถนน สีลม Silom, Bangkok, Krung Thep Maha Nakhon.